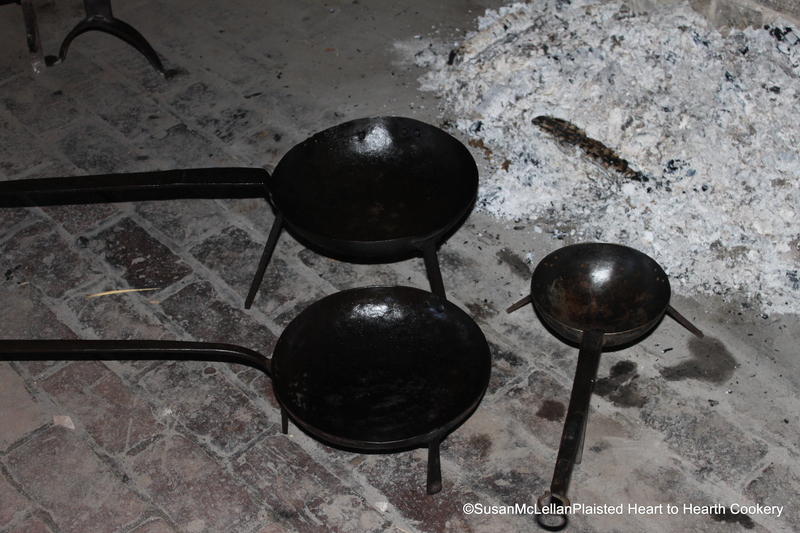 These are three of my “spiders”, round bottom iron pans with three legs instead of eight that may have been named after the eight-legged arachnid. Being from New England, I have known these very useful hearth tools that sit nicely over a bed of glowing embers, as “spiders” all my life. Please share as a comment if you know another name.